When you install a granite countertops at your home, you invest in a stone that gives you style and elegance. For many home owners, investing in granite is a very big decision as it costs a lot and they get a stone that is unique in its own way. As we all know, no two granites are same, as it is meticulously manufactured to give it a classy design and shapes, this results in stunning colour depth and surface that is just hard to ignore. To make sure granite maintains its shine and look for years to come, you need to maintain it on regular basis. With proper maintenance, it will have that stunning looking surface all the time. A well maintained granite kitchen countertop also helps you to get a good resale value for your home. Here in this article, we are going to give you some tips to take the right care of your granite countertop. The best way to maintain granite on a day to day basis is by wiping it with a clean damp cloth after every use. This ensures that you are cleaning all the dust from the surface. Many people tend to wipe the surface of the granite using a hard dry cloth which is not recommended. As the surface may be full of grease spots and dusts, you might end up putting a swirling pattern of scratches on the top. If you have a dark shade, then you have to be careful, as a tiny scratch will be visible to the naked eye. Make sure that you are using water and a soft cloth to clean the surface and use mild strokes. After cleaning, wipe the surface with a dry cloth or you can let it dry on its own. Avoid using harsh chemicals and soap solutions for the cleaning of the surface. You can get the right cleaning liquid from any custom granite supplier Edmonton that will help you to get rid of the excess dirt and grimes. Avoid using chemicals that have acidic base as they will damage the sealing of the stone. The best way to clean them is by using the same liquid that you use to clean the utensils. Add it up to the water, make up lather, and then clean the surface using a soft cloth. The best way to ensure the safety of the granite from the spills and stains is by sealing it. 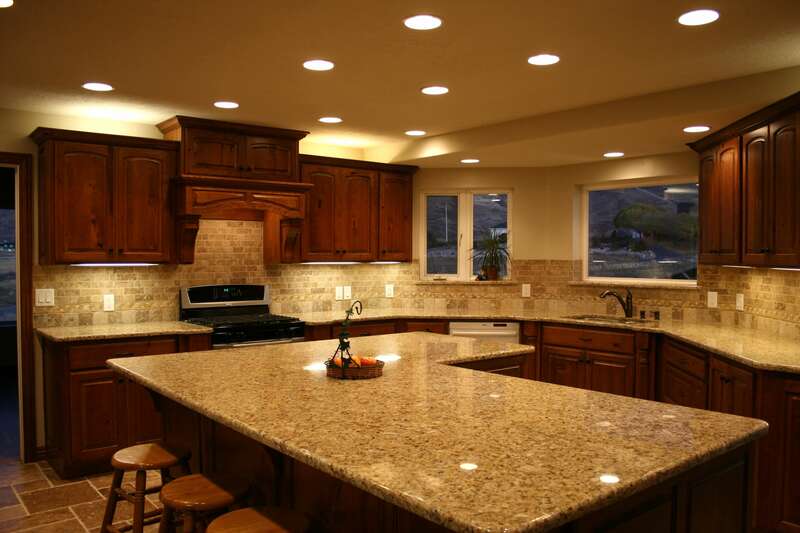 Sealing ensures that the surface of the granite is protected and you don’t have to worry about the stain marks. Most of the granites require sealing once in every two years. Always make sure that you are getting the sealing done from a professional granite sealer. If the sealing is not done in a right manner, then it may expose the surface of the granite to stains and you might end up ruining the look of the stone.